You can be a Parent, Guardian, Student or simply someone looking for the best educational institution to be. In ITSW you will find an exceptional nursery, pre-school and primary school built on a solid ground of values and deep engagement in the education of the young. Nursery is the best time to learn foreign languages. Until the age of three we are talking about early bilingualism or trilingualism. The child learns the language in a natural way as a mother tongue if "immersed", "surrounded" by the language, and associating one person with the language. This is how children learn in our nursery. If a three year old did not attend a nursery and was not immersed in a foreign language, from 3 to 6 years he or she will learn the second or third language through consecutive learning. This means that the child will learn the language spontaneously, but will filter it through a subconscious knowledge of the mother tongue. Students who have completed our nursery/preschool naturally continue their education in a given language of education. However, we have students who have not acquired knowledge of the three languages in the first years of life. In this case, after the age of six, they learn according to the pattern of late bilingualism or trilingualism, and their mother tongue becomes a filter for the structures of a foreign language. 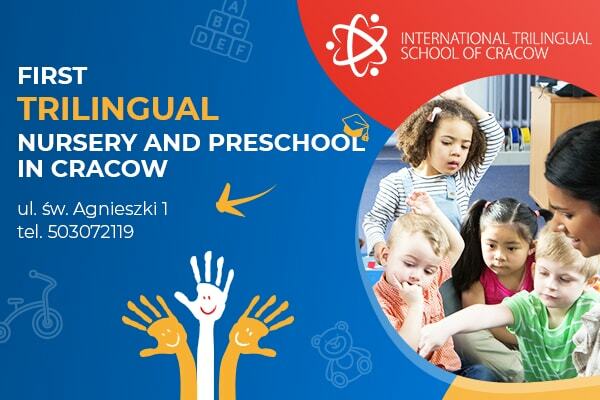 ITSW is an international school operating since 2001 educating on the basis of a trilingual curriculum. The school community is a mix of origins and cultures. We educate in tolerance to cultures, background, religions and ways of life. Join our communities. We strive to be close and build partnership relations. If you want to be informed about upcoming events, recruitment and the life of our school community, leave your email address.